Check out our new video. It's a trailer from the movie about the notorious Canadian Serial Killer - It Came From The North. Wow, is it already March? 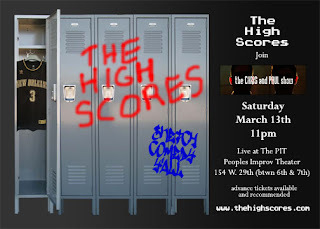 Then it's time to get your Madness on and come see The High Scores perform some live sketch comedy. We'll be performing with our friends "The Chris and Paul Show" so you can double your fun. There's a good chance it will sell out, so reserve your tickets now.